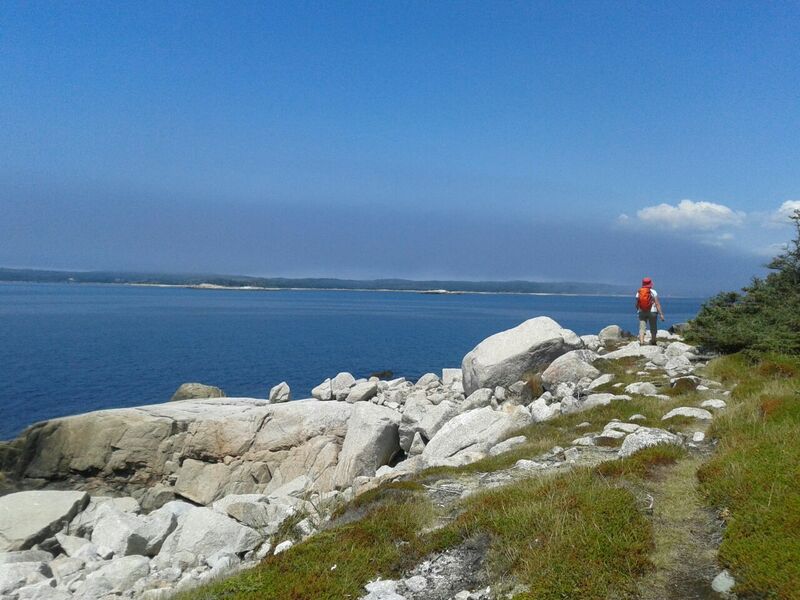 I have (co)hosted field schools for students and professionals (the latter mostly from the petroleum industry) around Nova Scotia and am happy to build your group a tailor-made trip. 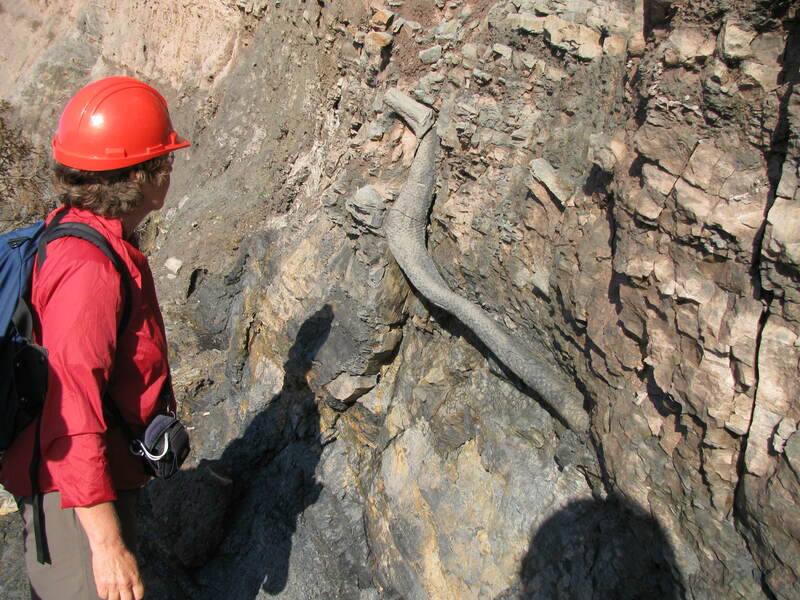 I am a clastic sedimentologist, so my trips focus on that aspect of our science. I involve highly respected expert colleagues for specific stops, if so desired. 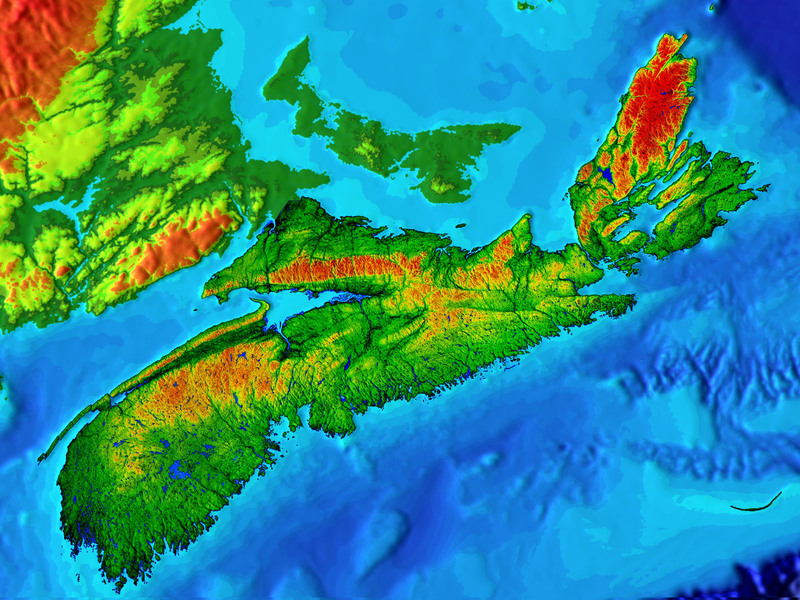 Nova Scotia has an fascinating geologic history, exposing a billion years of earth history, resulting in an astonishing geodiversity, all of which is extremely well exposed along its 4,000 km coastline. 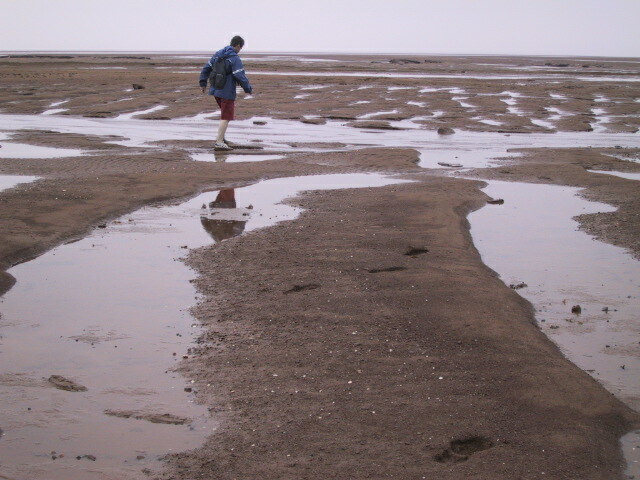 We have some of the world’s most iconic fossil sites and we have the world’s highest tides. In addition, we are blessed by having all this beauty in a relatively small area, which means that we don’t have to drive long between stops. 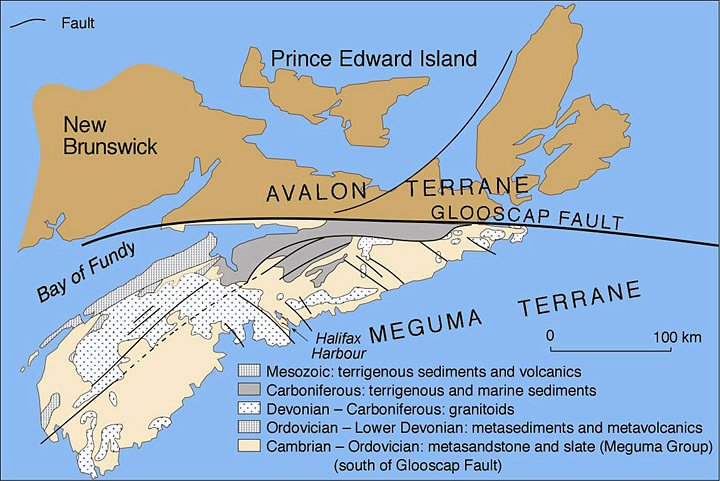 For an impression, here are my blog posts on Nova Scotia geology: here and here and here and here and here and here. What can such a trip entail? 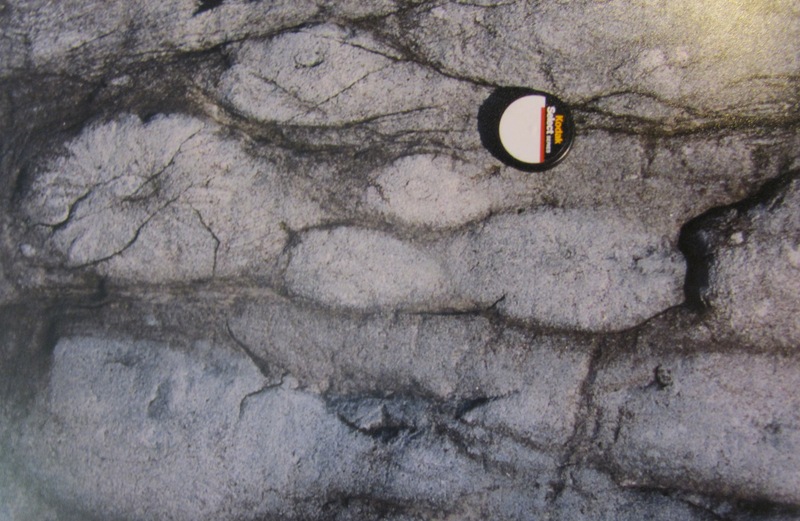 Left: Simplified geologic terranes of the Canadian Maritimes (note scale). Right: a digital elevation model. 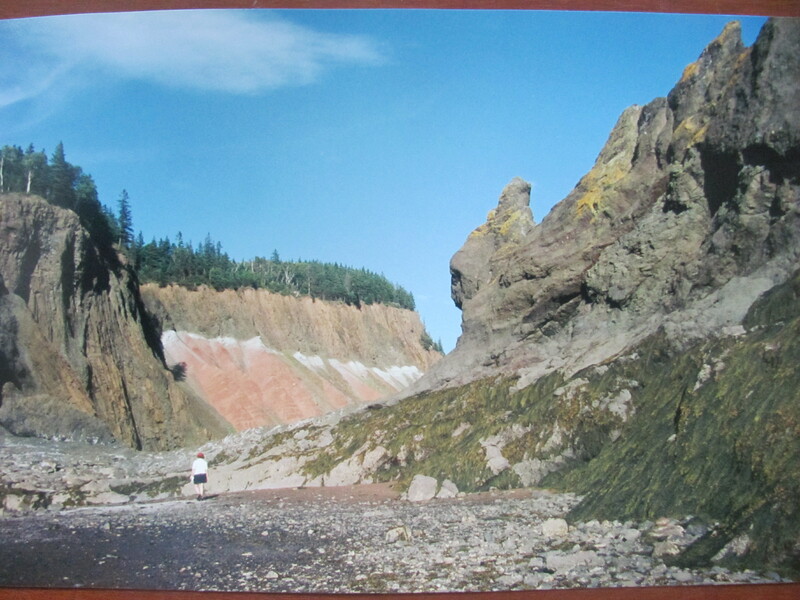 Parrsboro area (Fundy Geological Museum) – world’s first dinosaurs! 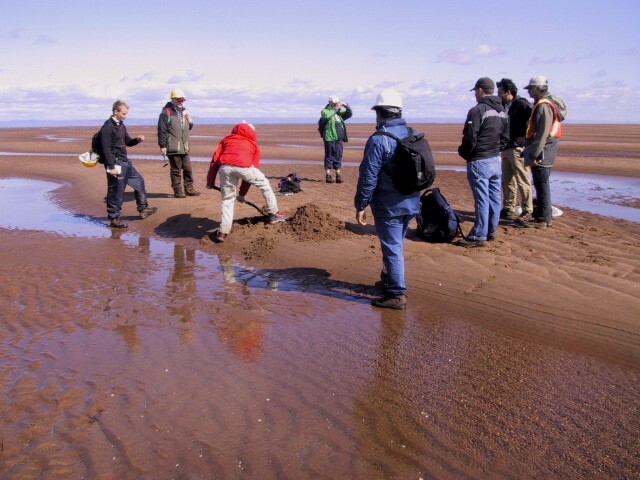 Brule Beach – Carboniferous-age flora and fauna. 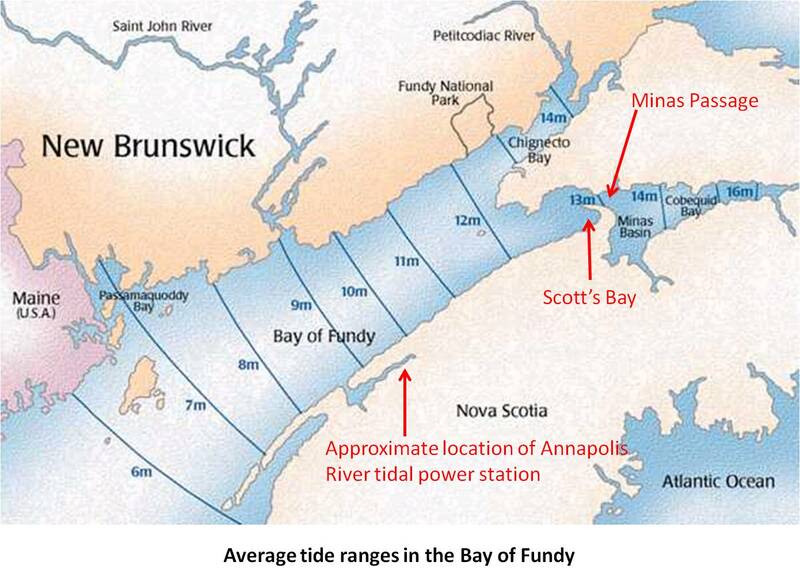 Left: tide ranges (in meters) in the Bay of Fundy and associated estuaries. 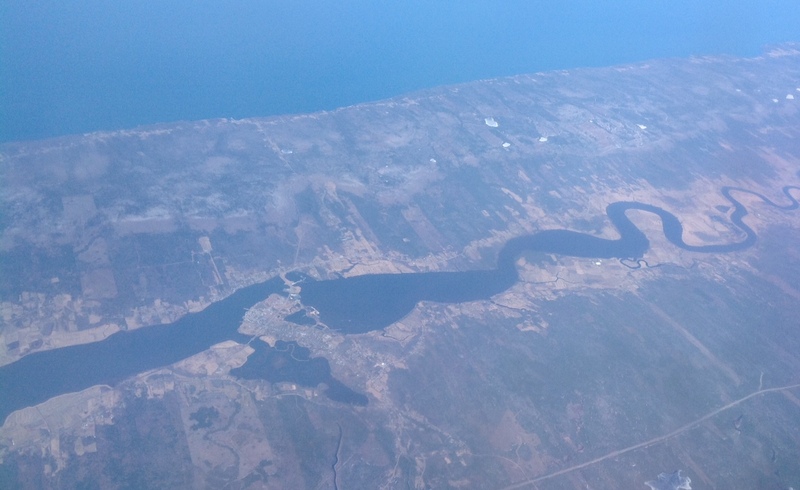 Right: Annapolis River and tidal power station at barrage in the river. Here are just a few ball park figures – specifics to be worked out for each individual trip. – time of year: between June and October. This being a northern country, despite the fact that we are only at 45degN, I must warn for ‘bug season’, which runs in June and sometimes into July. See this link for weather. – Transportation by commercial coach with a professional driver for a bigger group or self-driven mini-vans for a smaller group. Ca. Can$200 per person for a week.